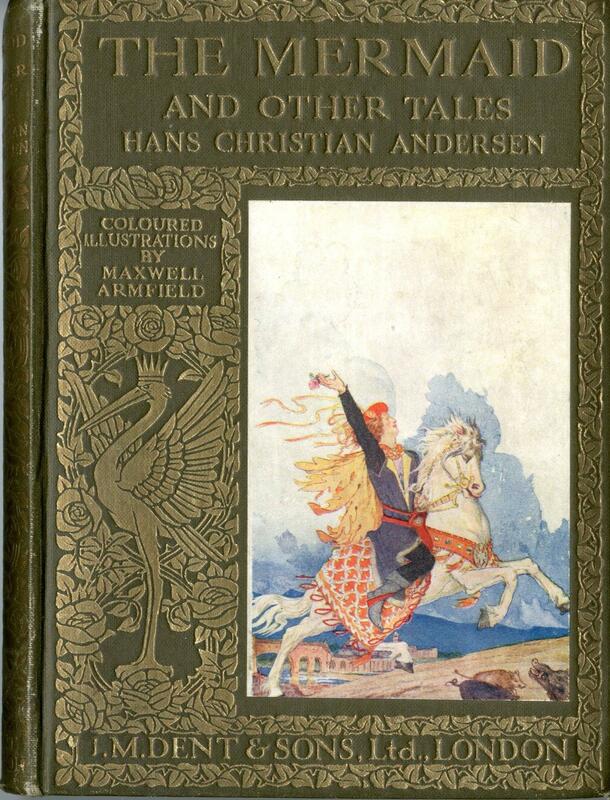 The tale The Golden Mermaid by Jacob and Wilhelm Grimm, edited by Andrew Lang and illustrated by H. J. Ford, describes a young prince’s journey with the initial goal to retrieve a magic bird for his father, the King. Although the prince encounters many challenges along the way, he is ultimately successful in completing his goals with the support of a magic helper and the faithfulness of the golden mermaid. 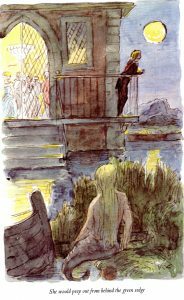 The mermaid plays a significant role in the tale considering she is the final task for the prince, yet the golden mermaid also demonstrates characteristics that emphasize those that are valued by the culture and time period in which the story was originally written. 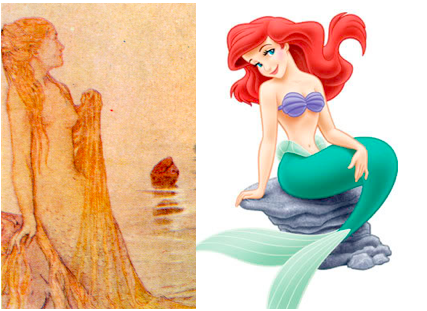 The representation of the mermaid reflects the expectations of a desirable woman and mirrors society’s view of gender roles during this time period, including those of a man through the qualities of the prince. 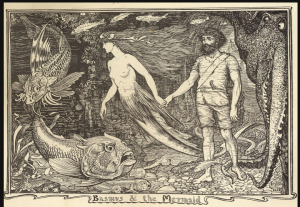 Within this tale, the prince’s character is a brave and compassionate, and perhaps unlikely, hero and the mermaid plays the role of the attractive, strong and faithful woman. 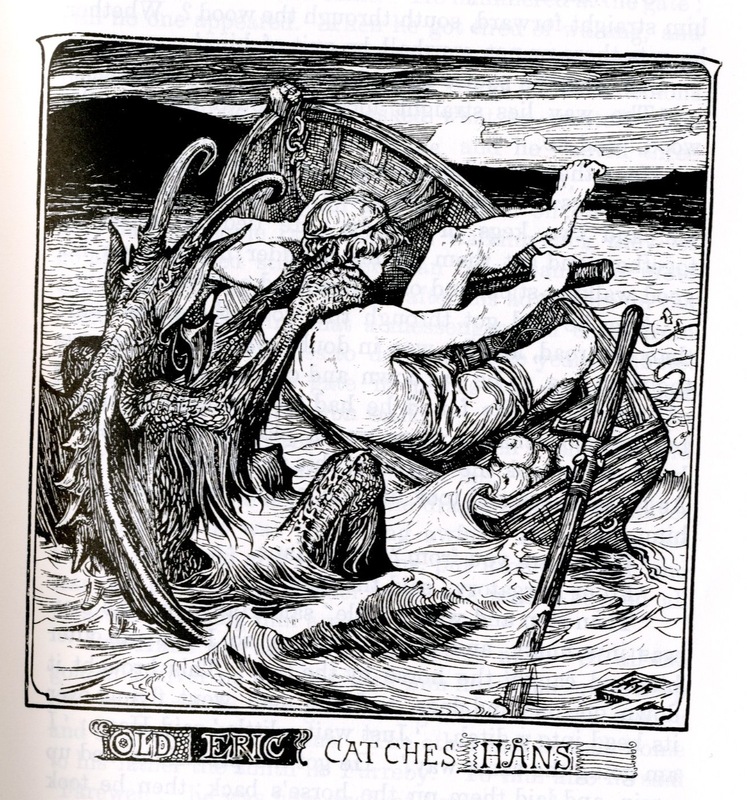 The characteristics that the mermaid and the prince display mirrors the expectations and beliefs of German culture and the 19th century in which this tale was intended. Throughout this paper, we will discuss how the mermaid is represented in the tale, the effect J. J. Ford’s illustrations may have on the audience’s perception, and how both the story and illustrations reflect the authors’ time period, culture and their beliefs, particularly in regards to gender roles. 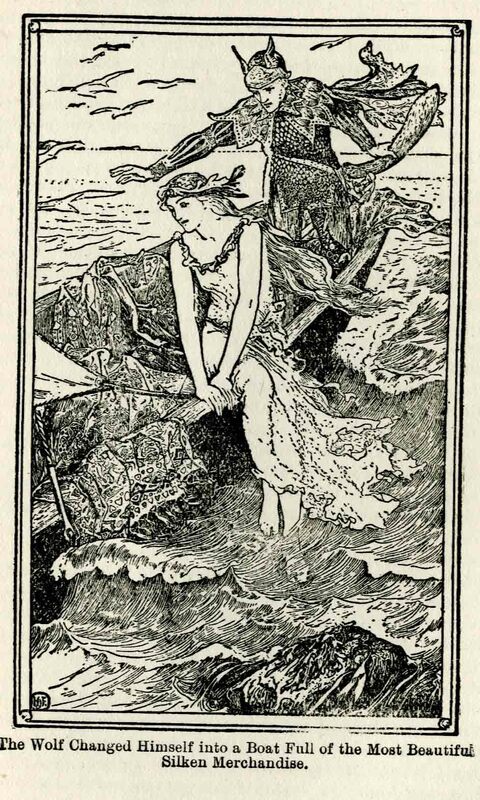 Through the illustrations of the mermaid by H. J. Ford and the description of her provided by the author, the reader is able gain a relatively accurate image of this character. 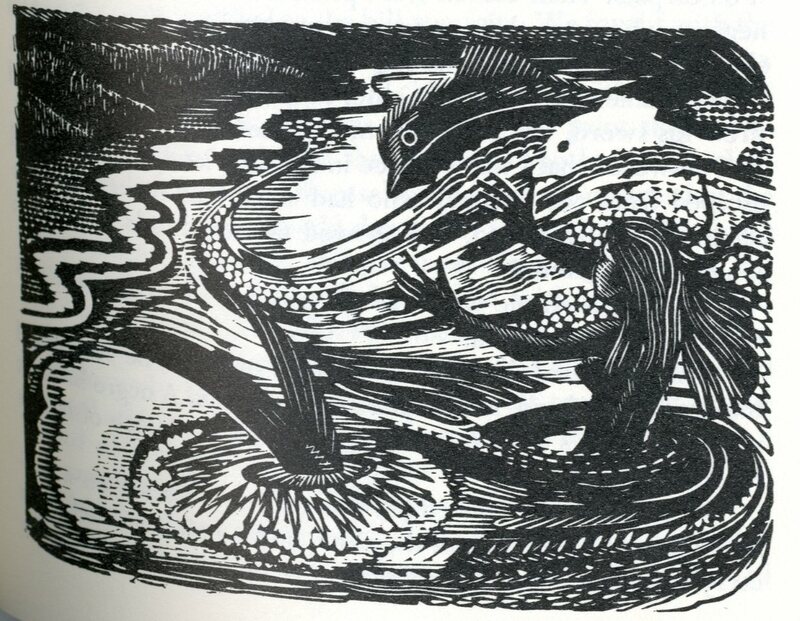 Through the reader may assume that as a mermaid, she is half women and half fish, the illustrator has a different picture in mind. 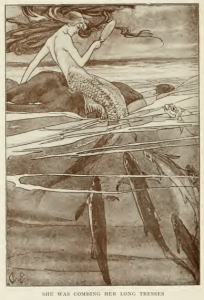 The illustrations of the mermaid emphasize the possible comparison being made between her and women in 19th century Germany through the removal of her fishlike tail, rather than depicting her in a traditional manner. Mermaids’ sexuality has typically been viewed as “incomplete”, similar to that of a mannequin, yet the golden mermaid retains her complete sexual appeal due to her physical attributes and her lack of a fin (Brown, 1977). 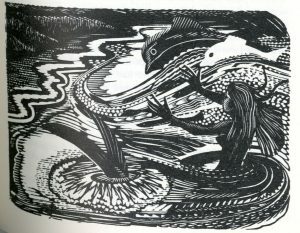 As Brown describes a mermaid in his article, the fish tail acts like a chastity belt (1977, p. 8), preventing sexual corruption. 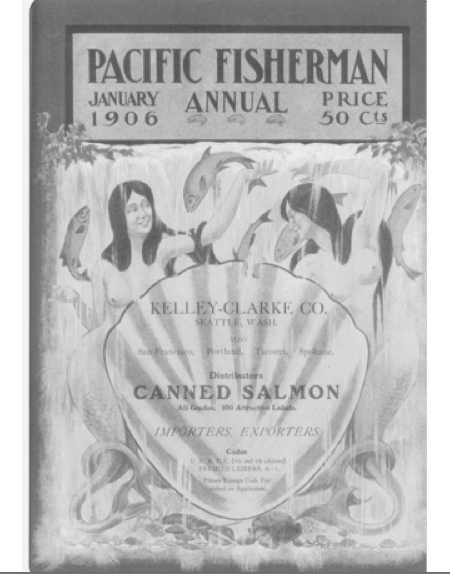 Rather than being part fish and part woman, her connection to the traditional mermaid seems to be that she lives in the sea and her ability to attract male attention. 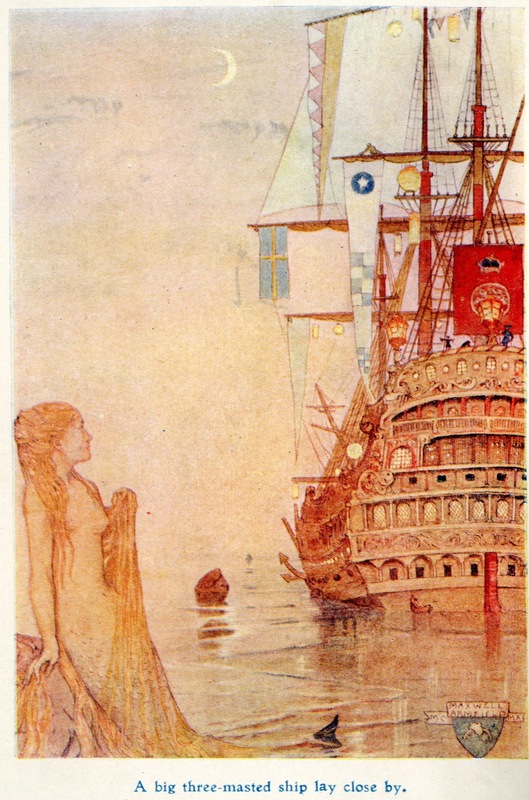 In The Golden Mermaid, the author emphasizes the fact that no one has been able to get close to her. This also reflects a desired quality within a woman since it appears as though she is waiting for one man and maintaining her purity rather than giving herself to anyone else. Additionally, it demonstrates her autonomous behaviour, since even though she does not have a tail to prevent her from being with a man, she is still waiting, perhaps for the prince. 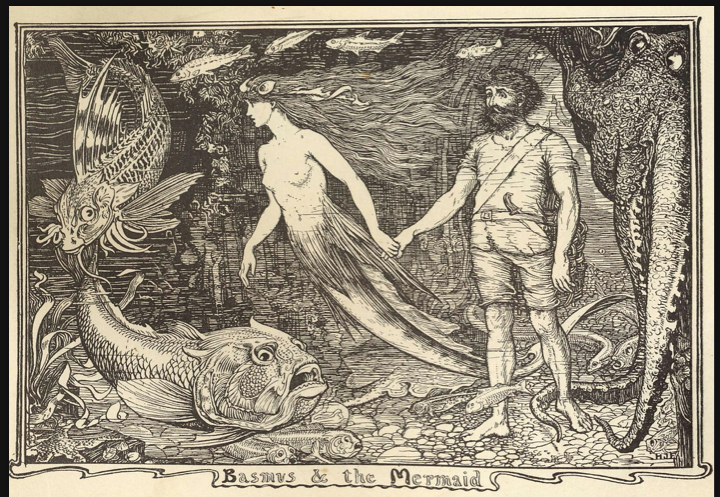 The mermaid in “The Golden Mermaid”, as previously mentioned, appears to be the representation of the ideal women, who is supportive of the male character and stays by his side, even after death. 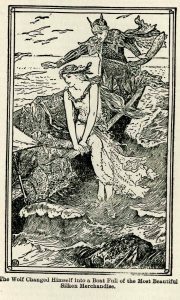 The faithfulness of the mermaid is shown through the way she cries over him for weeks after he is killed by his elder brothers. Even after they tried to convince her to leave him, she refused. 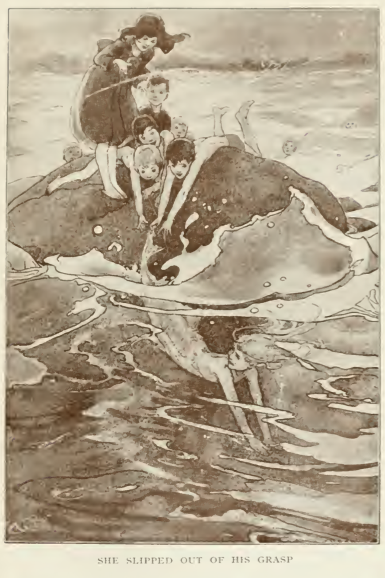 As she is presented in the illustration, laying over his body, her feet are visible, allowing the reader to create a greater connection with the ideal female and the expectations placed on her. Yet even though she is compassionate, similar to other female characters in Grimms’ stories (Tatar, 1985), she is not submissive, rather she makes her own decisions. This is apparent through the failed attempts of other males when they have tried to approach her. It wasn’t until the prince approached her, that she came to land and was immediately “quite happy in her new life” (Lang, 1892, p. 320). 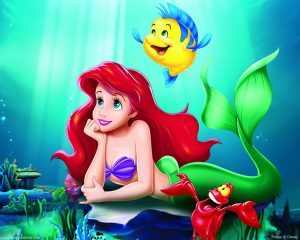 As a result, it appears that the mermaid was responsible for making choices about who she ended up with, instead of portraying a submissive character to the hero. This is also emphasized through the contrast of other fairy tales, where very often it is solely the hero who receives attention, yet as remarked by Tatar in her article, the Grimms quite often focus on more than one character, in this case, attention is given to the mermaid as well (1985, p. 37). In doing so, her importance to the story is emphasizes and she is given more of an equal role to her male counterpart, with the opportunity to advance in society as well. 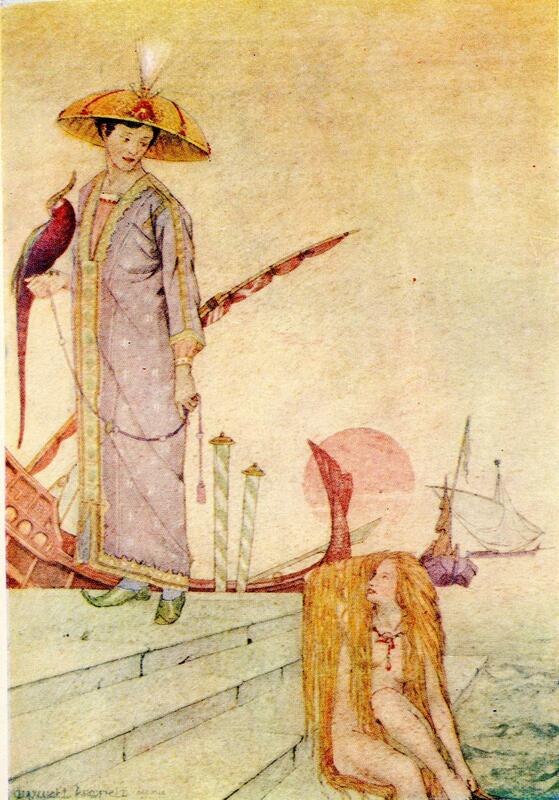 In this tale, the prince’s final goal was to capture the mermaid and bring her back to land. Though this was not his initial task, the mermaid becomes the main focus towards the end of the story. The significance of her role within the story is once again shown through her dedication to the prince, since, without it, it is unclear if he would have lived again. Due to various qualities that she possesses, she is the ultimate women since she is kind, protective of the prince, loyal and beautiful. Her loyalty was also apparent through her actions as she obeyed what the wolf directed her to do in order to bring the prince back to life. This is represented in the illustration below. 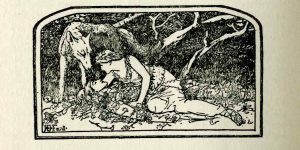 The Brothers Grimm, Jacob Grimm (1785-1863) and Wilhem Grimm (1786-1859), were German philologists and folklorists that sought to transcribe and conserve oral folk tales. 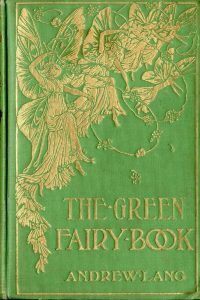 At the beginning of the twentieth century, academic publications began to appear that critically discussed the editorial process of Jacob and Wilhem Grimm. 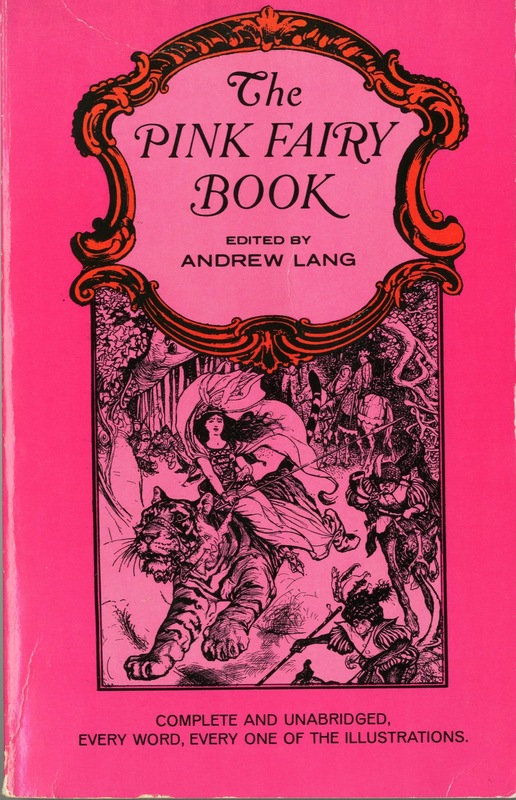 Jack Zipes argued that it was “generally assumed that the Brothers Grimm collected their oral folk tales mainly from peasants and day laborers and that they merely altered and refined the tales while remaining true to their perspective and meaning. Both assumptions proved to be false” (Subversion 61). 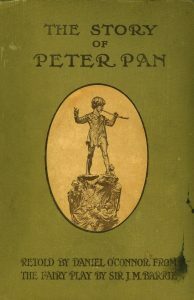 There are a considerable number of articles that focus on the issue of whether the Brothers Grimm simply cultivate the oral versions they had collected or whether they consciously manipulated them in favor of their own ideology and literary taste. While Zipes asserts that the Grimms did indeed the change the meaning of the oral folktales, he emphasizes that their “intentions were honorable” (61) and “the Grimms were totally conscious and open about their endeavors to make their material more suitable for children and to incorporate their notion of the family…and their political ideas in the tales” (112). 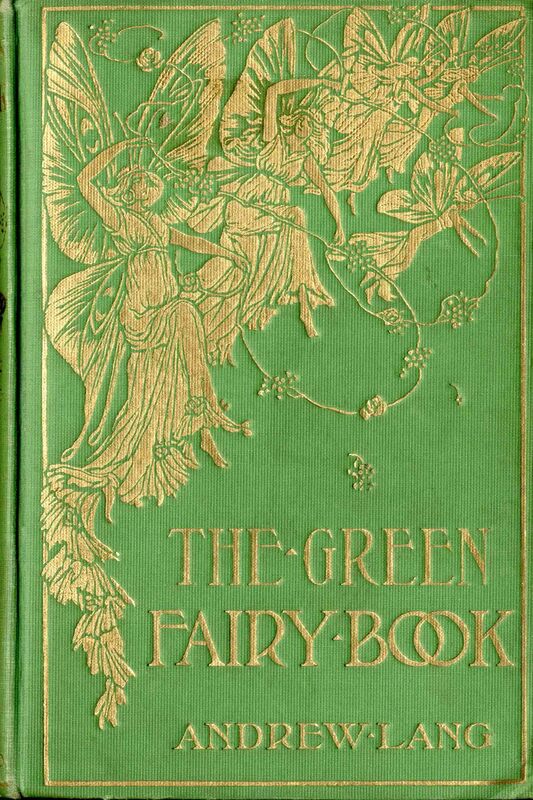 Jacob and Wilhelm Grimm adopted a unique form of prose writing in The Golden Mermaid that supports an intertextual relationship between fictional and nonfictional discourse. During this time period, Germany was simply seen as a prime representative of a system of society and government that was controlled primarily by men. Historical records demonstrate the disadvantageous position for women, and above all for wives, in a denial of legal personhood, which meant that women were unable to appear in court, to own or manage property, or to retain one’s earnings from labor (Vick 557). In all these ways women were reportedly reduced to a lesser status and therefore subject to the guardianship of their husbands. 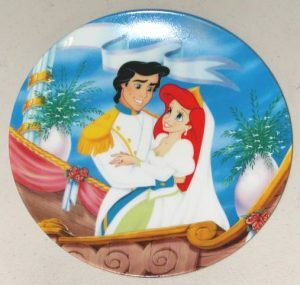 This point of view is evident in The Golden Mermaid when the young prince seizes the mermaid in his arms and declares that she would be his forever. 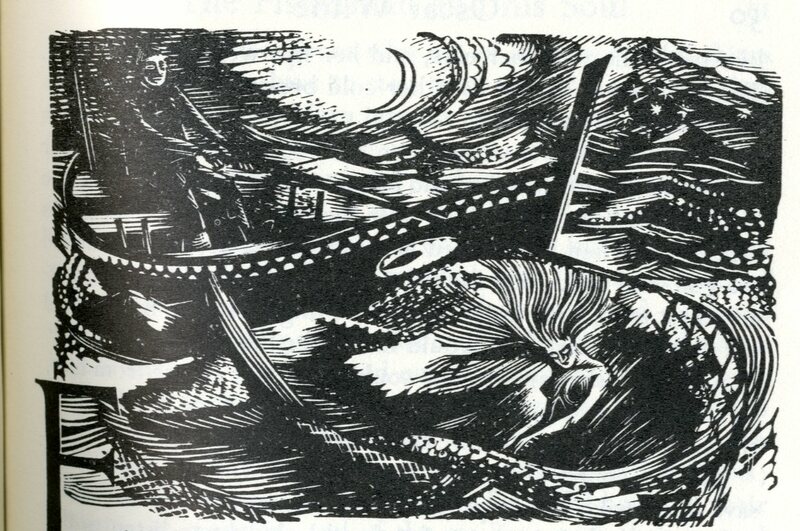 As the boat transforms back into the magic-helper, the mermaid predictably clings to the prince for protection. These actions emphasize the seemingly vulnerability of women and the need for a man to defend and protect them. Despite this apparent discrimination against women, the Grimm Brothers did not wholly support this notion of sexism. At this time, Germany was experiencing a shift towards a liberal nationalist movement with an aim to separate away from the traditional patriarchal system and embrace a stance that would promote German solidarity among all people. It is argued that gender difference was then transformed and expressed in the realm of nature. Marriage was increasingly defined as a natural rather than a contractual relationship. Women were viewed as destined by love to make a choice of their marriage partner before renouncing that power of choice altogether (Vick 548). 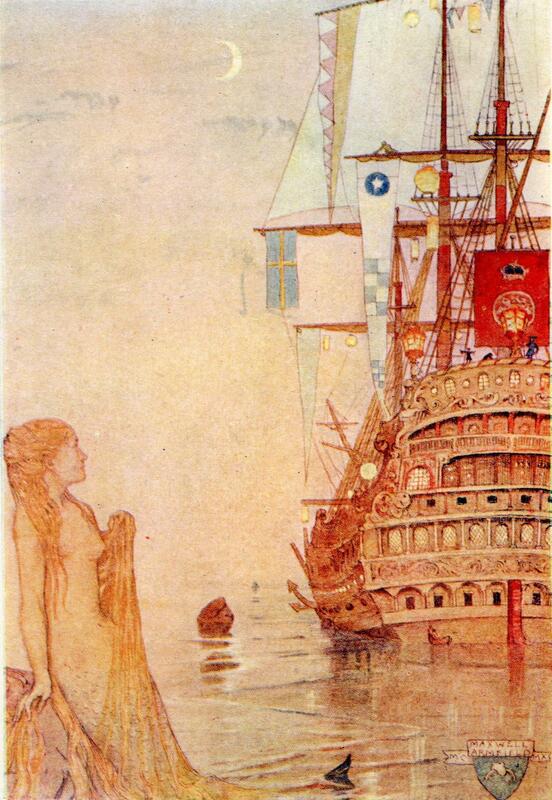 In The Golden Mermaid, it was said that no mortal had ever dared approach the mermaid and yet when the prince called out to her to follow his ship back to shore, she obliged and did not regret her choice. 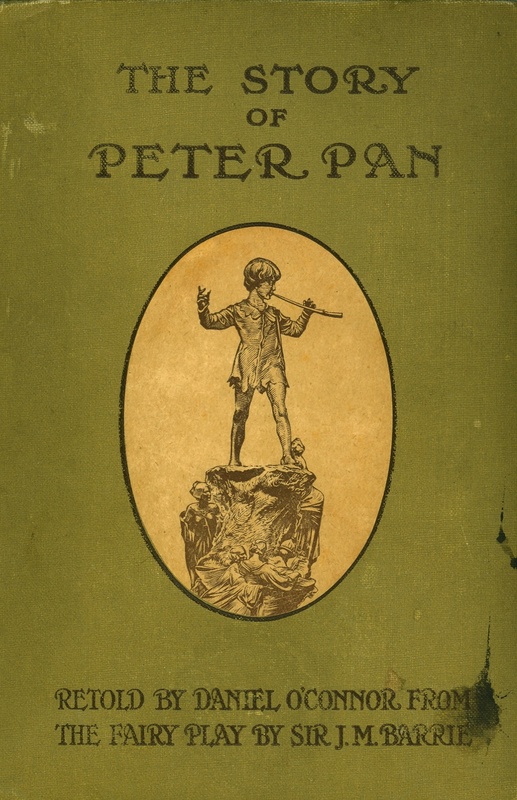 In Tests, Tasks, and Trials in the Grimm’s Fairy Tales, Tatar argues that character traits demonstrate a remarkable lack of stability, shifting into contrasting positions as the fairy tale develops. Despite the failure to meet certain standards, the youngest prince typically possesses one character trait that sets him apart from his fraternal antagonists: compassion. Tatar argues that before the youngest son can journey to foreign kingdoms, he must prove himself worthy of assistance from a supernatural helper by displaying his compassion for wildlife. 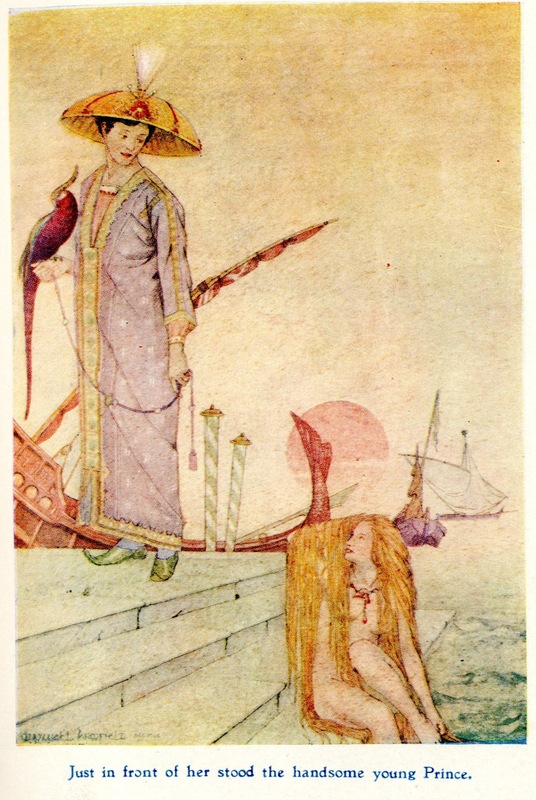 In The Golden Mermaid, the young prince demonstrates sympathetic pity towards the wolf and is entitled to receiving assistance throughout the tale. His capacity for compassion towards wildlife and nature can also refer to the changing norms occurring in Germany at that time. Women were gradually becoming recognized as “Free, independent members of the state…not just a caregiver or a housekeeper, [but] also a free comrade of the husband” (Vick 572). 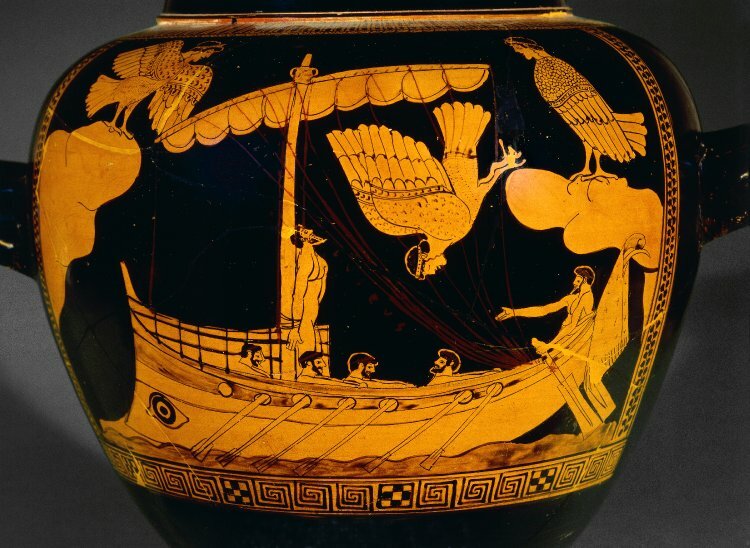 Spousal relations were at one time rigid and discriminatory, however, The Golden Mermaid demonstrates an evolving perception where both men and women were seen as complimentary halves that formed the true representation of a unified country. 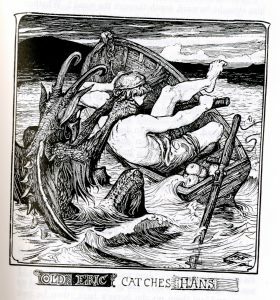 In The Golden Mermaid, both character attributes and social conditions dramatically change from one extreme to the other. 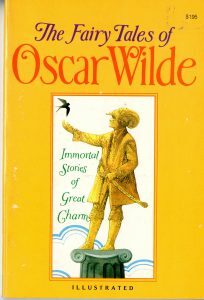 The young prince was initially considered a simpleton by both his father and brothers, however, as the tale progressed, he struggled through the trials set before him. In the end, it was the prince’s compassion for nature that enabled him to receive the assistance of a magic-helper and it also allowed him to gain the favor of the golden mermaid, whom all mortal men had avoided. On the surface the fairytale appears to be a typical folk story, however, it is now possible to see that it is an interaction between an oral story and the shifting political discourse that was evident during the 19th century. 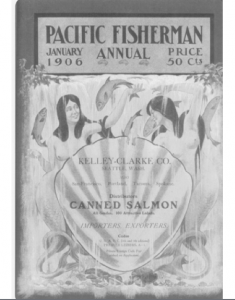 Brown, Lloyd W. Mannequins and Mermaid- The Contemporary Writer and Sexual Images in the Consumer Culture. Women’s Studies 5 (1977) 1-12. Vick, Brian. Liberalism, Nationalism, and Gender Dicotomy in Mid-Nineteenth-Century Germany: The Contested Case of German Civil Law. The Journal of Modern History, Vol.82, No.3, pp.546-584. Web. 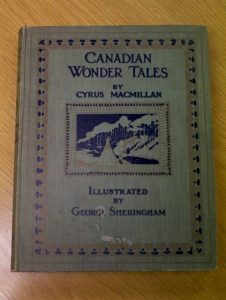 http://www.jstor.org/stable/10.1086/653041 . Zipes, Jack. Breaking the Magic Spell: Radical Theories of Folk and Fairy Tales. Rev. ed.Lexington: U of Kentucky P, 2002.